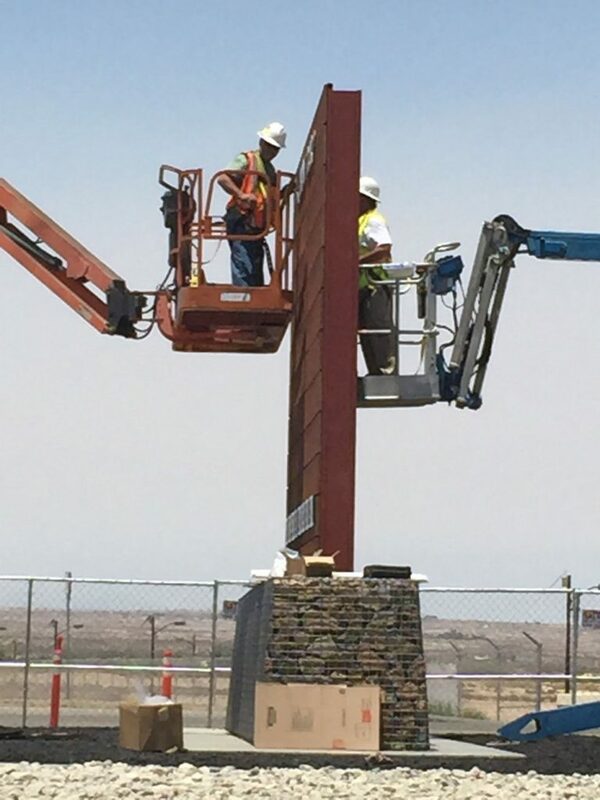 With nearly seventy years’ history providing contracting work, our California Wire Products (Cal-Wire) team has been called in to do plenty of interesting projects – and it is about time we started talking about some of them on our blog. 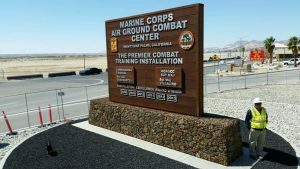 In fact, we recently completed a great contract for the US Marine Corps in Twentynine Palms, CA. It was a fine example of our services and skillset can go well beyond simply providing custom wire mesh partition work and similar projects. 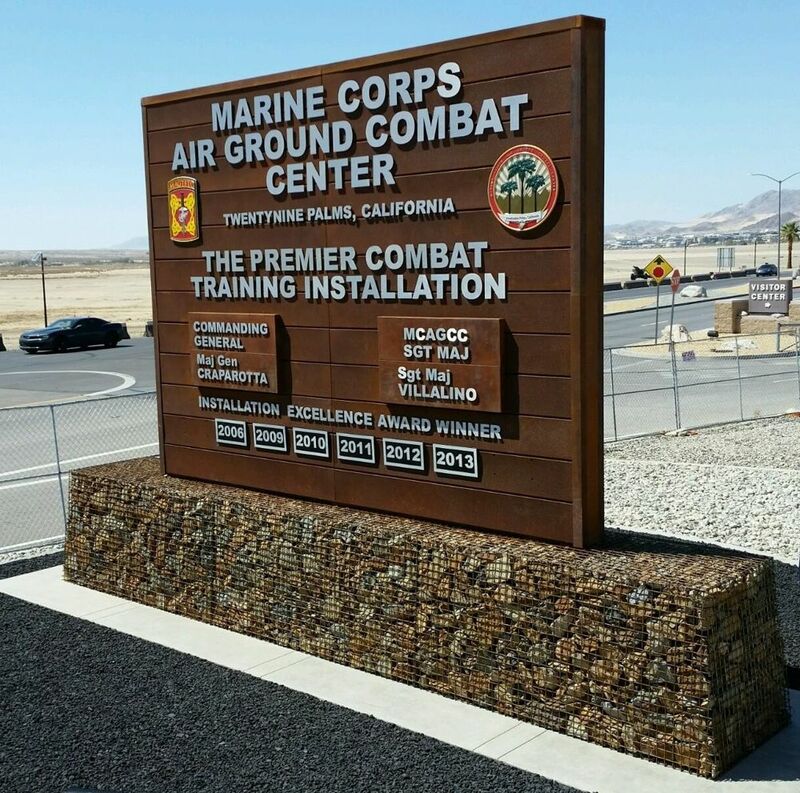 The Marines’ Twentynine Palms base is one of their top training facilities, and so the USMC wanted to replace their old sign with a new one that better reflected this fact. We provided nearly all the work on the sign aside from the wood paneling and the lettering. Both the custom wire mesh partition and the underlying structural steelwork were ours. The centerpiece of the project was the large gabion basket that also formed the base of the sign. That is, the collection of rocks held within a custom wire mesh partition. Gabion baskets have always been a great way to make a sign more eye-catching, and they’re also functional since they’re heavy enough to anchor even an extremely large sign! For this project, we used 6 gauge heavy duty wire to guarantee everything would stay in place. After all, it doesn’t just need to stand up under normal conditions, it also had to be wind-proofed. We also handled the steel framework of the sign itself. As you can see from the pictures, we had to engineer it, so the support struts would fit into the gabion basket seamlessly. 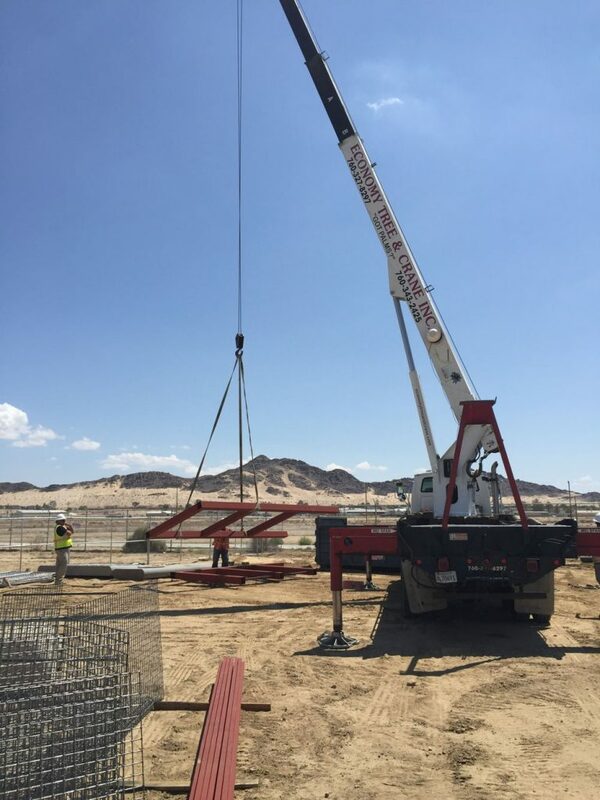 We don’t talk about our structural steelwork too often, but it’s called for often enough in our wire and meshwork that we have the facilities to do full steel work as well. All in all, the project went off without a hitch – completed on time and to everyone’s complete satisfaction. Big or small, we’ve tackled just about everything imaginable during our decades of service. Whether you simply need us as a supplier of great wire products at competitive rates, or you want to make use of our full engineering and contracting services, we’re here to see your project done right.